Tessie's constant talking gets her into trouble at home and school . . . until her counselor helps her learn to tame her tongue and listen as much as she talks. Tessie is bright and eager to share all the stories about her life. She talks to her parents, her little brother, the bus driver, her teacher, and her classmates. But when she gets chatty, she's loud . . . and talks with her mouth full of food . . . and doesn't give anyone else a chance to say what's on their minds. 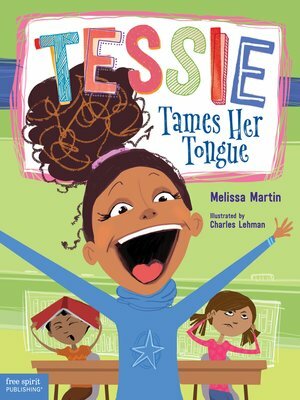 After her little brother complains and her classmates ignore her, Tessie knows it's time to tame her talkative tongue. With help from her school counselor, Tessie learns to talk less and listen more.